The Deadly Sins of Social Recruiting. Glassdoor Employer Branding Summit: Top 10 Talent Takeaways. There is no single agreed-upon definition of Employment Branding. Like many of the most useful components of Human Resources, Employment Branding (EB) is a broad umbrella of ideas with a decidedly local implementation character. With more than 500 million members in over 200 countries and territories, LinkedIn is no doubt one of the world’s largest social and professional networking sites, making it a great talent attraction channel to add to your recruitment marketing machine. But unlike consumers, a job seeker has much more on the line when deciding to take the plunge into employment with your business. And if your brand doesn’t match job seekers expectations, or their SEO results, they’ll have no problem moving on. Getting Social. SYMPTOMS EXCELITIS COMPLIANCEPHOBIA RECRUITER SIGNS THAT YOU NEED a new APPLICANT TRACKING SYSTEM 13 Table of Contents Introduction 01 You're “Tracking and Managing” Hiring with Email, Spreadsheets, or Worse, Paper. 11 Your Hiring Managers Aren’t Actively Involved in the Recruiting Process. When it comes to social recruiting, your jobs are not your best content. Of course you should polish all your job listings to be dynamic and reflect your employer brand and employer value proposition, but the job listing itself is just a commodity. Companies that consistently attract the best talent get one thing right: Employer branding. Instead of reading reviews on Amazon, candidates are turning to social media and to websites like Glassdoor to get the real scoop on companies. So, what is an Employer Brand? Using Social Recruiting to Build Your Candidate Pipeline. For those of you recruiting passive candidates regularly, this may seem like a no brainer, but social media can be a recruiter or HR manager’s best friend. New to social media? The 2014 HR Technology conference is a wrap and if we had to sum up the experience with a prediction for next year, we’d say: 2015 will be all about how your employer brand fits into the best recruiting strategies. How Does Your Brand Help You Hire? From the hiring of staff, creating uniforms and even down to the menu design – this is their brand, their name and their experience on the line. The First Course: Recruiting Meets Marketing. Are we saying that a recruiting background is required to excel at EB? At the start of June we decided to dedicate most of the month’s blog content to helping you guys make the most of all of the excellent recruitment/HR conferences that were taking place around the world in June (and the months to come). Contractors and temp recruiters rejoice!). Sitting there at the latest HR conference, one recruiter asks the other – “how do you use social media for recruiting?”The Still figuring social media out? But think about it further – that means one in four isn’t using social media. Social media has had a massive impact on almost every aspect of business — and recruiting is no exception. Consider these statistics : 80% of employers say social recruiting helps them find passive candidates. Use social media to tell your brand’s story. Having an established employer brand is crucial to your talent acquisition efforts, especially if your company is interested in top-tiered candidates who can add value real value. These touchpoints along the modern candidate’s journey are important channels where you can: 1) share your employer brand messaging, and 2) provide candidates with the information they need to decide if your company is the right fit for them. 3: Your Social Media Profiles. 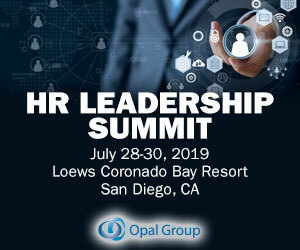 We’re gearing up for next week’s 2nd annual Glassdoor Employer Branding Summit and are so excited to spend the day learning from employer branding experts from companies including Zillow, Glassdoor, Salesforce, Dell and more! There’s been quite a bit of hype about social media. Social media is self perpetuating; networks are echo chambers that magnify their own importance. Are you really generating regular client inquiries and business development opportunities on social media? Welcome to the October edition of our Social Recruiting Round-Up – a selection of the best, most shared blogs, infographics, webinars and recruitment news stories from the Social Talent blog in the last month. The Most Hated Words Among Recruiters. There was PLENTY to talk about this month, so sit back, relax and soak in all the goodness: Top Blogs in February: 5 Things Recruiters Need to STOP Doing in 2015 . These are the 5 biggest recruiter no-nos of 2015, and if we catch you still doing any of them this year, we’ll call you out! Branding building has been part and parcel of the marketing process for years. In this case, instead of reading reviews on Amazon, applicants are turning to social media and to websites like Glassdoor to get the real scoop on companies. Is employer branding important? Hello and welcome to the September edition of our Social Recruiting Round-Up – a selection of the best, most shared blogs, infographics, webinars and recruitment news stories from the Social Talent blog in the last month. 32 Weirdest Objects Sent To Recruiters Ever! Much of this comes down to jobseekers caring about a company’s employer brand , which is your reputation as an employer. It doesn’t hurt either that 62 percent of Glassdoor users agree their view of a company improves after seeing an employer respond to a review. 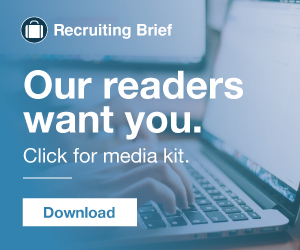 No, not THAT “time of the month” sillies – it’s time for our monthly social recruiting round-up; a collection of the most popular blog posts, the most talked about infographics and the biggest recruitment and sourcing news stories of the last month. Enjoy and Happy Friday Recruiters! : Grid your loins recruiters! 5 Twitter Sins Recruiters Need to STOP Committing. 5 Incredible Recruiting Hacks to Boost Your Productivity STAT! Branding building has been part and parcel of the marketing process for years. In this case, instead of reading reviews on Amazon, applicants are turning to social media and to websites like Glassdoor to get the real scoop on companies. Everyone wants to know what your company culture is like and how happy your employees are – it’s up to recruiting departments to use employer branding to make sure candidates like what they see. Is employer branding important? Unfortunately, talent acquisition teams that aren’t dedicating time and effort to these three recruiting concepts won’t be able to keep up with modern candidates. 4 Social Recruitment Blunders That Can Cost Your Business (HRN Blog). There are tons of articles out there in cyber space covering employer branding with about million statistics in every one of them. Little did you know, your branding falls under the not-so-flattering category of statistics. So, 29% of employers do not have an apt brand. That’s the result of effective employer branding, broadcasting each organization’s values to the public at large to make their products, services and work environments as desirable as possible. Last week, SmashFly helped underwrite the TMA Strategic Recruiting Summit in Miami, FL. There were a lot of learnings from last week’s event and we’ve put together a Storify where you’ll learn more on Employer Branding, Candidate Experience and Recruitment Marketing: [View the story “Employer Branding and Candidate Experience take center stage at #TMASRS” on. ’ ‘How can Snapchat be used for recruiting?’ ’ We believe that Snapchat will be one of the most influential recruiting tools of 2015 in a number of industries, so get up to speed with everything Snapchat related right here!